The weekend games brought us plenty of excitement in both the Africa Cup of Nations and the rest of the worlds leagues. City and Liverpool shared the points, Barton got his first, but probably not last, red card in France, Balotelli scored twice in his Milan debut  and we have taken a closer look at some of the best spots from the weekend. Thalam Serero (South Africa)  Nike Mercurial Vapor VIII Custom Black/Purple The South African midfielder Serero this weekend played in a pair of cool, personalised Vapor VIII boots in black and purple  and even if the colour isn't the craziest, that we have ever seen, it still scores high  and it only helps, that it from a distance looks like blackout. Eli Babalji (Melbourne Heart)  Nike Mercurial Vapor IX Metallic Platinum/Black/Electric Green Even though the Platinum colourway was launched just shortly after the Fireberry/Electric Green and Sunset/Volt/Total Crimson, it hasn't been given the same amount of attention or game time yet, - but Melbourne Heart-player Eli Babalji had secured himself a pair before the game against local rivals, Melbourne Victory. 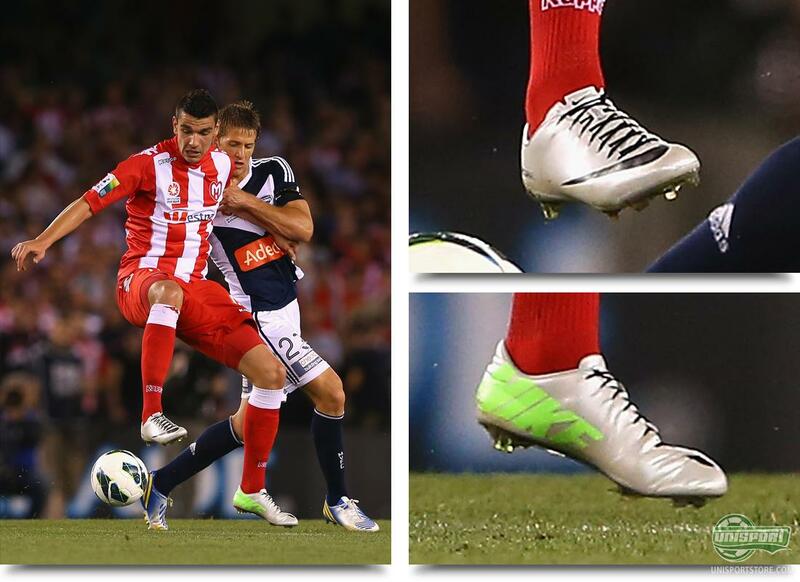 We do expect to see more of the Silver Vapor IX in the coming month  so keep a close eye on the feet of Nikes Mercurial Players. Brian Mullan (Colorado Rapids)  Adidas Predator LZ White/Black/Gold Just like Nikes Platinum Vapor IX, we haven't seen many players use the newly unveiled colourway of the Predator LZ, White/Black/Gold. 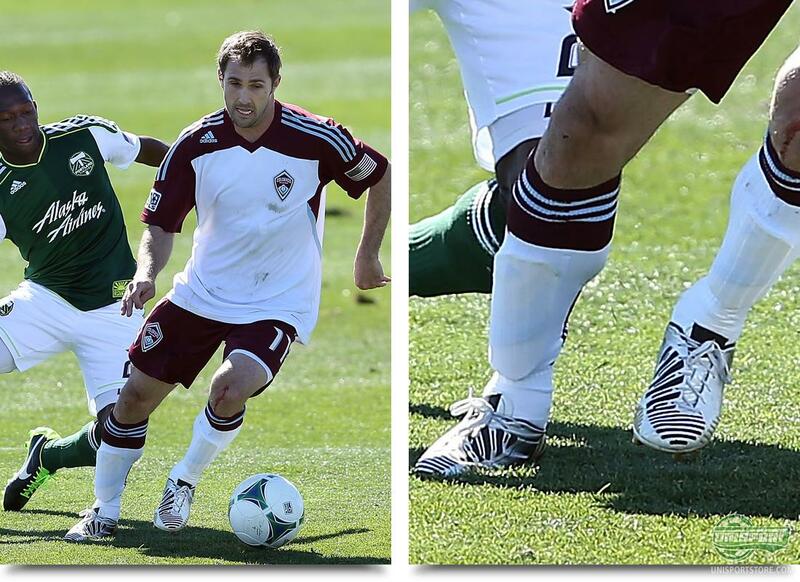 Here the American Brian Mullan shows off the classy boot, in the their game against Portland Timbers, which really matches the Rapids kit well. 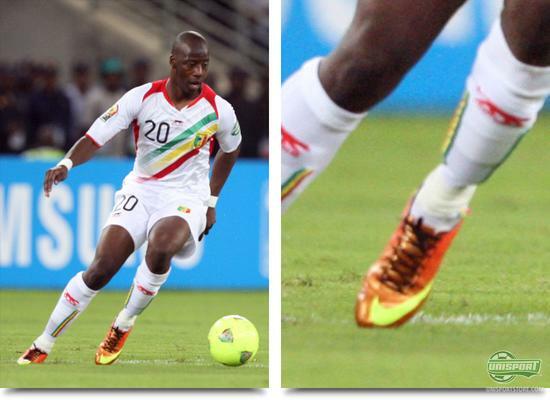 Samba Diakite (Mali)  Nike Mercurial Vapor IX Sunset/Volt/Total Crimson Originally Nikes plan was, that Didier Drogba would be the only players at the ACN, who would be using the Sunset/Volt/Total Crimson Vapor IX. It would however seem, that Diakite didn't get the memo, as he in the game with South Africa played in Drogbas colourway. We have to assume it's a pair, that he has acquired himself and Nike have not been involved here. Marouane Fellaini (Everton)  Warrior Sports Skreamer S-lite Since the signing of Marouane Fellaini, we have seen the Everton player using the Warrior sports boots, but until the weekends thrilling encounter with Aston Villa, the Belgian has been using the Skreamer K-lite in leather  disguised as the microfibre boot with the distinctive turquoise colourway. 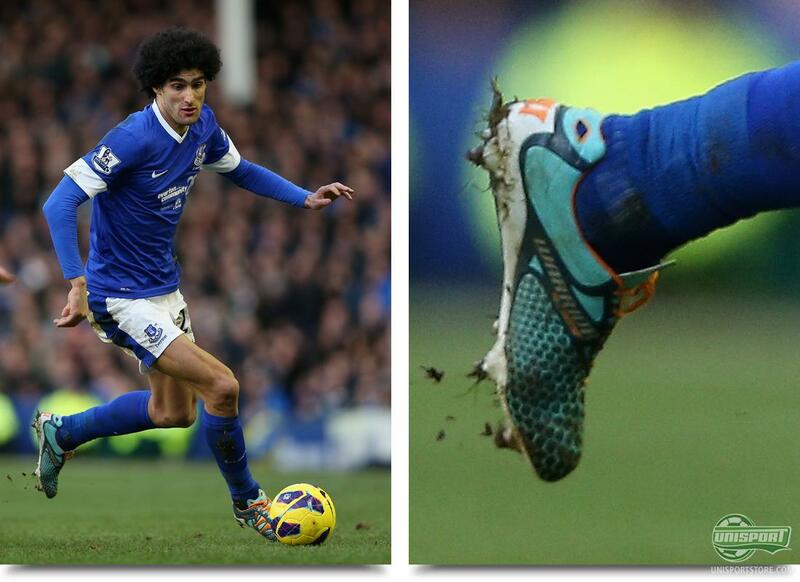 Now it would seem, that Fellaini has tried his luck with the real microfibre boot, that is definitely an eye-catcher. Are you a fan? Viktor Fischer (Ajax Amsterdam)  Nike Mercurial Vapor IX Fireberry/Electric Green The young shooting star had a very good weekend and a fine start to the week too, when he, wearing his new Vapor IX, both scored and assisted a goal against VVV Venlo  and today he will be meeting with the national team, before the friendly against Macedonia. Fischer has a big future in front of him and we expect him to be a central part of the Mercurial collection in the years to come. Marco Borriello (Genoa)  Nike Mercurial Vapor IX Blackout Marco Borriello has always been a fan of blackout boots and it's no secret, that Nike abide to the Italians every wish. 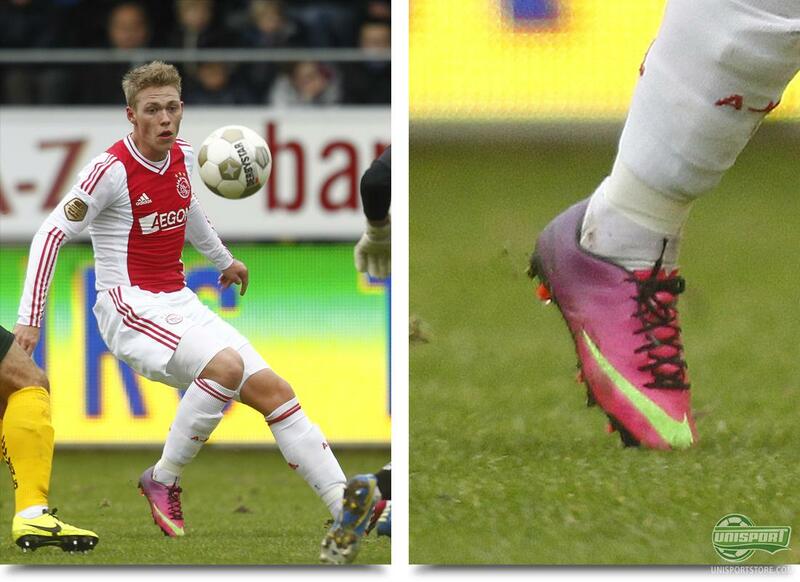 In the game against Lazio Marco B was once again wearing his blackout Vapors, that we think look really good. Would you like a pair of Blackout Vapor, or are you more of a fan of the colours? Gakpe Koffi (Burkina Faso)  Adidas F50 Adizero 2nd Generation Orange/Black Even though Gakpe is chiselled like an ancient Greek statue and probably has the craziest facial hair in the world, it was actually his boots, we noticed first, as he has stubbornly kept a hold of his Orange/Black, second generation F50 Adizero. 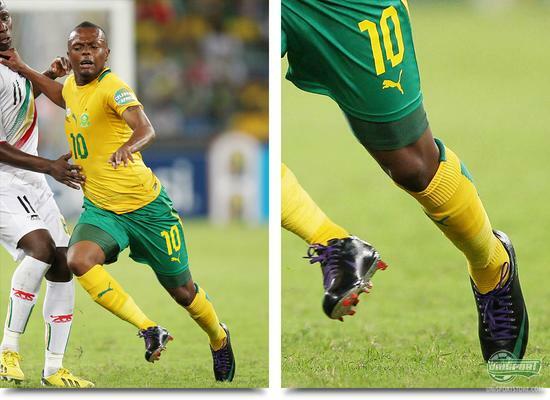 The boot is fondly remembered by many and was an incredibly popular colourway then  and apparently still with Koffi. Outara Issouf (Burkina Faso)  Nike GS2 Concept OK, it may not be the worlds most crazy boot spot, but we are just impressed with the consistently awesome choice of boots by the Burkina Faso players. 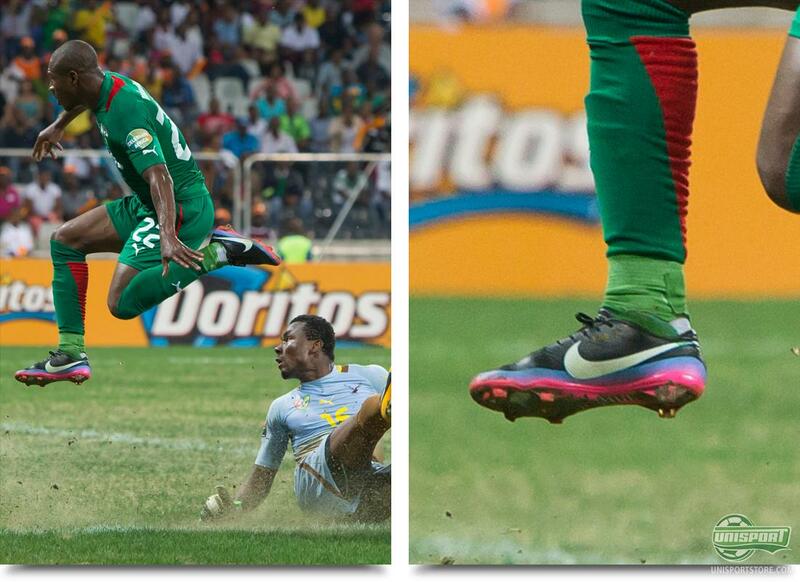 On top of Koffi we also spotted Issouf, as he had pulled on a pair of 2012s big successes, Nike GS2. 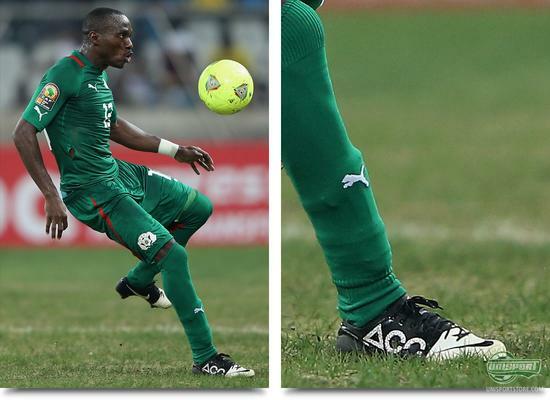 Prejuce Nakoulma (Bukina Faso)  Nike Mercurial Vapor VIII ACC CR7 Black/White/Pink And yes, the good boot choices from Bukina Faso keep on coming, as Prejuce Nakoulma showed off his CR7 Vapor VIII. 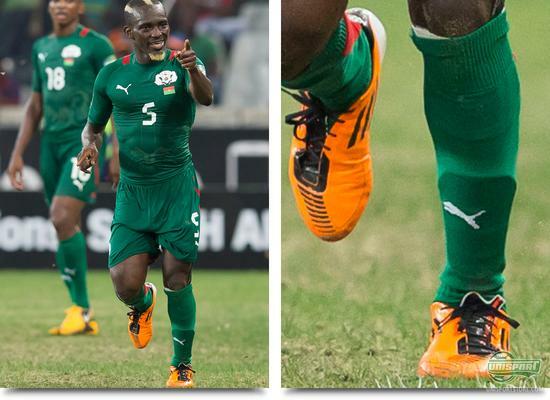 Once again the black boot and big Nike swoosh really fits well with the Green Bukina Faso kit, and it's also fun to see professionals in other stars signature boots. 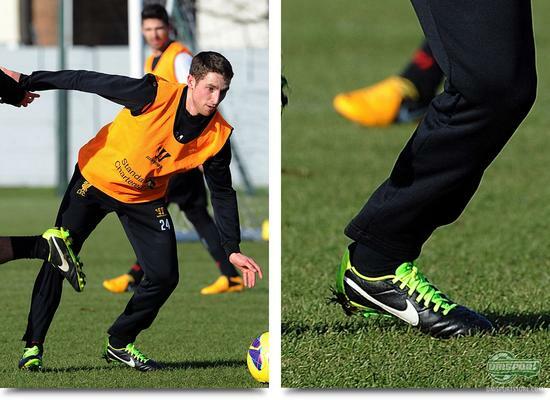 Joe Allen (Liverpool)  Nike Tiempo Legend IV Black/Electric Green Liverpools Welsh midfielder, Joe Allen, has for a long time played in the Nike CTR360 Maestri III, but before the weekends game with Manchester City he trained using a pair of Legend IV  which he also used, when he was subbed in this Sunday, against the reigning English champions. Is there a permanent switch on the cards? 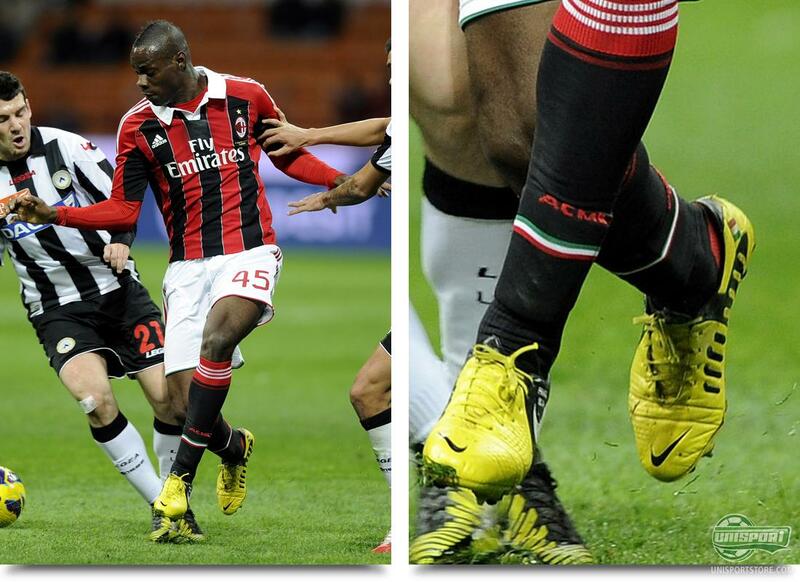 Mario Balotelli (AC Milan)  Nike CTR360 Maestri III Yellow/Black When Mario Balotelli decides to do something, he does it in style. After his switch to AC Milan he said, that he would do anything to gain the affection of the fans and two goals on his debut, seems like an excellent start. Interestingly enough Balotelli continues to keep a hold of the launch colour of the CTR360 Maestri III  and the question is, are things not working between Nike and Mario, or does he just prefer boots, that have been broken in. What do you think about Balotellis debut for Milan  Have you been watching the Africa Cup of Nations and in extension the countless old and special boots, as well as the crazy haircuts? We would love to know in the comment section down below.